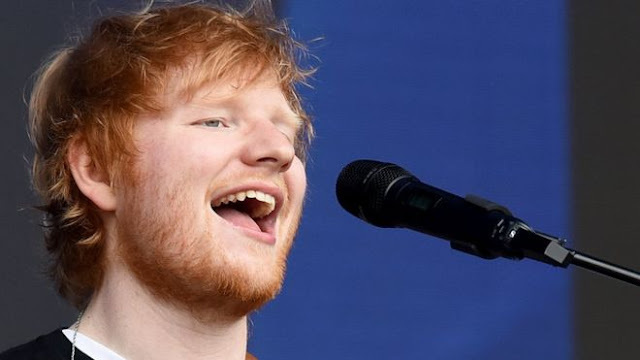 Ed Sheeran fans have been told to plan ahead and arrive early for his record-breaking Cardiff concerts amid travel fears and heightened ticket scrutiny. The Grammy award winning superstar will become the first performer to play four successive nights at the Principality Stadium, starting on Thursday. No trains will run to London after any night while there is no Valley Line trains after Sunday's concert. Fans who bought tickets from a re-sale site will be offered genuine tickets. The Thinking Out Loud singer's team revoked tickets from known touts and cancelled tickets listed on re-sale site Viagogo. Music lovers who had bought from the site - often at vastly inflated prices - will be given help in claiming refunds at the box office and will be offered the chance of buying genuine tickets. Stuart Galbraith, chief executive of Kilimanjaro Live, one of the promoters of Sheeran's tour, said up to 10,000 tickets had so far been cancelled across the 18 dates. He negotiated with ticket resellers Get Me In, Seatwave and StubHub to make sure they would not list tickets for the tour but Viagogo did not follow suit. "Customers who have bought from Viagogo can come to our box office [outside the stadium], we invalidate the ticket, give them advice on how to claim a refund and then sell them a ticket at face value, thus saving them huge amounts of money," Mr Galbraith said. Sheeran has partnered with Twickets - a site which allows fans to swap tickets at face value or less, in order to protect fans from the "unethical practices" of touts. Up to 60,000 fans are expected each night and they have been advised to plan ahead for their journey to Cardiff as last trains to destinations such as London, Birmingham, Portsmouth and Aberdare could leave before the concert is due to finish at 22:30 BST.